If free AVG Anti-Virus 2016 and AVG Internet Security 2016 is not suit for you, now there is chance to get free 6 months subscription for latest version of McAfee AntiVirus Plus 2016. 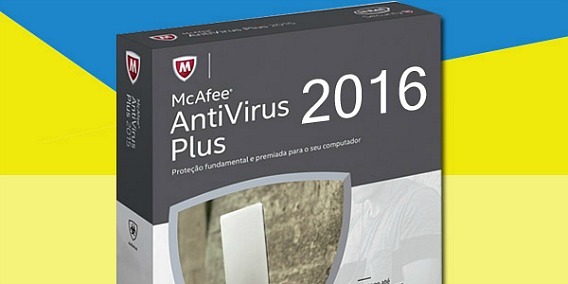 McAfee AntiVirus Plus 2016 is one of the top rated security suits among all brand. McAfee AntiVirus Plus 2016 provides essential yet easy-to-Use PC protection against virus and spyware, malware, fraud sites, and cyber criminals. McAfee AntiVirus Plus 2016 comes with user friendly interface which main window displays the status of the primary modules: virus and spyware protection, web and e-mail protection, updates and subscription on large square tiles. McAfee AntiVirus Plus 2016 brings advanced features such as Shredder tool to securely delete sensitive data, Network Monitor tool to scan for devices attached to local area network, QuickClean to get rid of junk files, and Vulnerability Scanner to check critical windows settings. 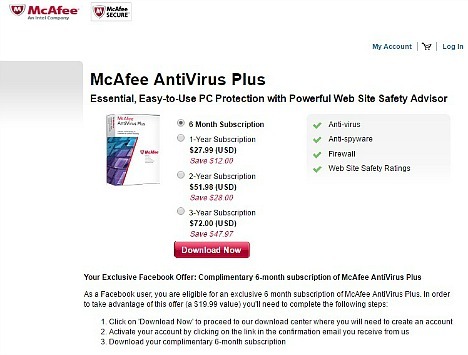 As part of joint promotion with Facebook, McAfee is giving away free McAfee AntiVirus Plus 2016 (cost $19.99) 180 days subscription as 6-month trial. Just follow steps below to register for the free subscription and download the setup installer. Select “6 Month Subscription” and then click on “Download Now” button. Login to existing McAfee account, or sign up and create a new McAfee account. Activate an account by clicking on the confirmation link in the email you receive from McAfee. On the checkout page, complete the checkout process accordingly. 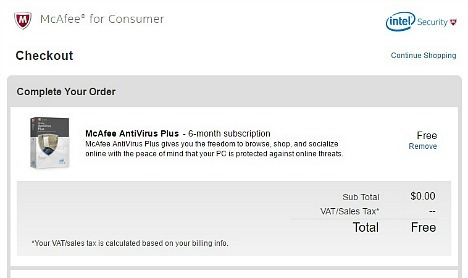 At order payment confirmation page, click on Download button to download the McAfee AntiVirus Plus 2016 setup installer to install on the PC. The serial number will show in same page.